This hematite heart suncatcher can be hung in a window, on the rearview mirror, or used as a ceiling light chain pull or fan pull! 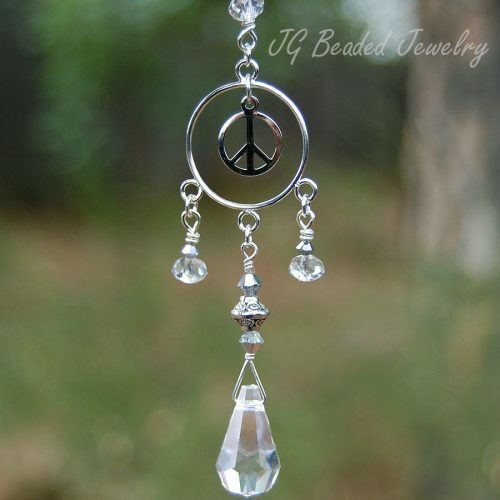 It is uniquely designed with a gorgeous AB clear 30mm prism crystal and wire wrapped for strength and attention to detail with a hematite heart, fancy silver beads, beautiful Swarovski crystals in the colors of lavender, silver shade and turquoise with an aurora borealis finish ~ gorgeous! Swarovski is known worldwide for precision cut flawless crystals. 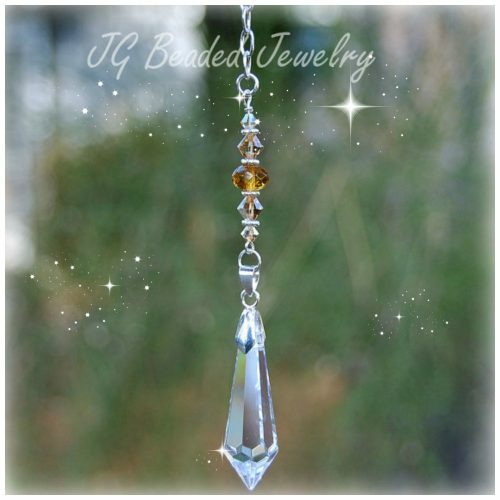 ♥ The Clear AB prism has a partial aurora borealis finish which will increase the rainbow effect when in direct sunlight. 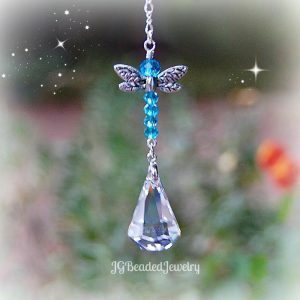 ♥ Offering unique handcrafted Rearview Mirror Decorations, Crystal Suncatchers and Light/Fan Pulls!